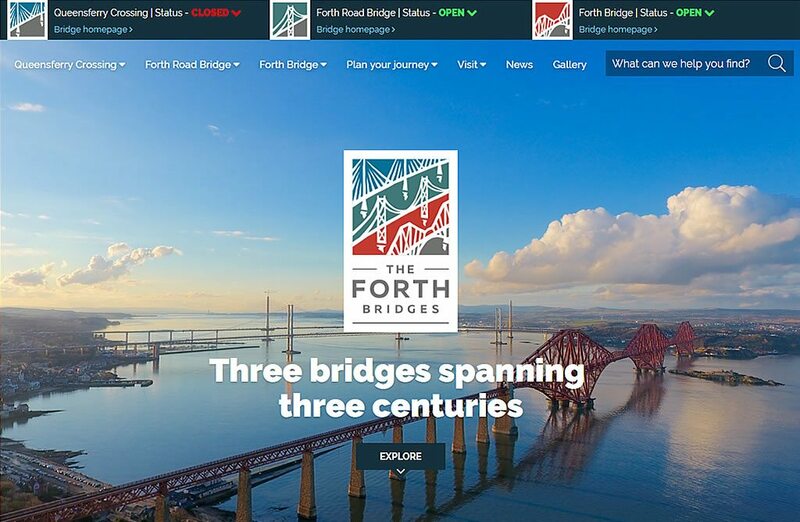 Following on from the creation of the excellent brand for the Forth Bridges (completed by our sister company Avian), we worked closely with the teams at AMEY (and their development partner Agidea) to design and built the templates (HTML, CSS, JS) for the new Forth Bridges website. Amey are responsible for the running and maintenance of the Forth Road Bridge and the Queensferry Crossing and worked with Network Rail (Forth Rail Bridge) to form The Forth Bridges partnership. We are delighted to have been involved in providing the web design and working with internal teams to integrate the website with their in-house CMS as well as hooking up integrations to pull through real time data and information to the website.